Vocational Education and Training (VET) courses are one of the fastest growing areas of education in secondary school. VET in Schools programs provide the opportunity for students to gain a nationally recognised qualification along with workplace experience and skills, while at school. We offer several national qualifications for students throughout Years 11-12. 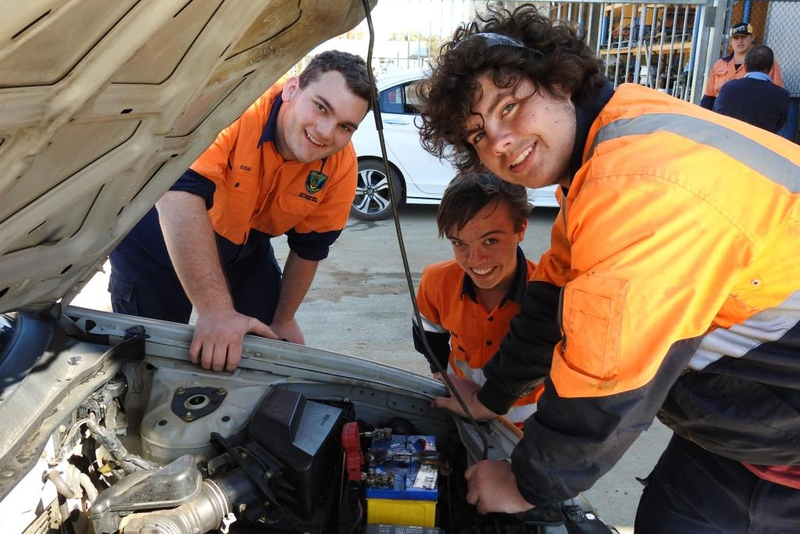 Merredin College Vocational Education and Training (VET) courses help students transition directly to employment, or access pathways to vocational and higher education. VET qualifications completed in combination with particular school courses also count towards a student’s Western Australian Certificate of Education (WACE). School Based Apprenticeships (SBAs) and School Based Traineeships (SBTs), when available, allow students to commence a traineeship or apprenticeship at the same time as completing secondary schooling. After signing a formal training contract students undertake a course in partnership with an RTO and an employer. Students are remunerated for their workforce participation, and continue the apprenticeship once they have finished school. Merredin College has built up excellent partnerships with Collgar Wind Farm through Collgar Community Fund and due to their generosity, we are able to offer several $1000 scholarships to students participating in the VET program.